Help us to help others! Super Annual Garage Sale: there is something for everyone. 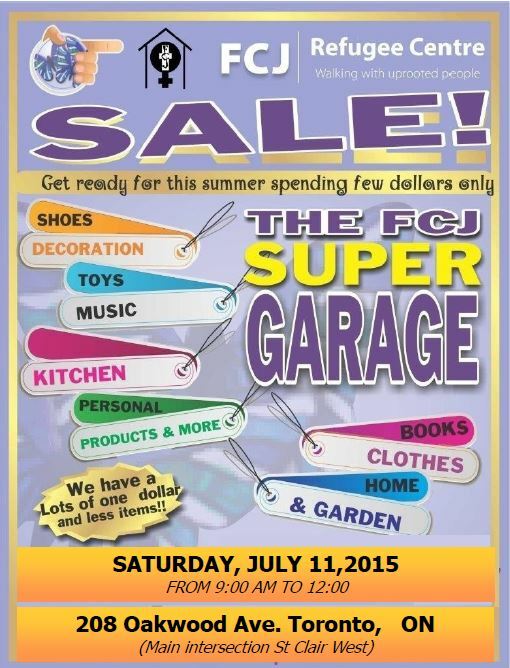 FCJ Refugee Centre Annual Garage sale is coming up on July 11 from 9:00 am to 12:00 pm! We are organizing a garage sale and invite everyone to participate by collaborating with donations and stopping by for some shopping. Do not miss this important fundraising event!! !